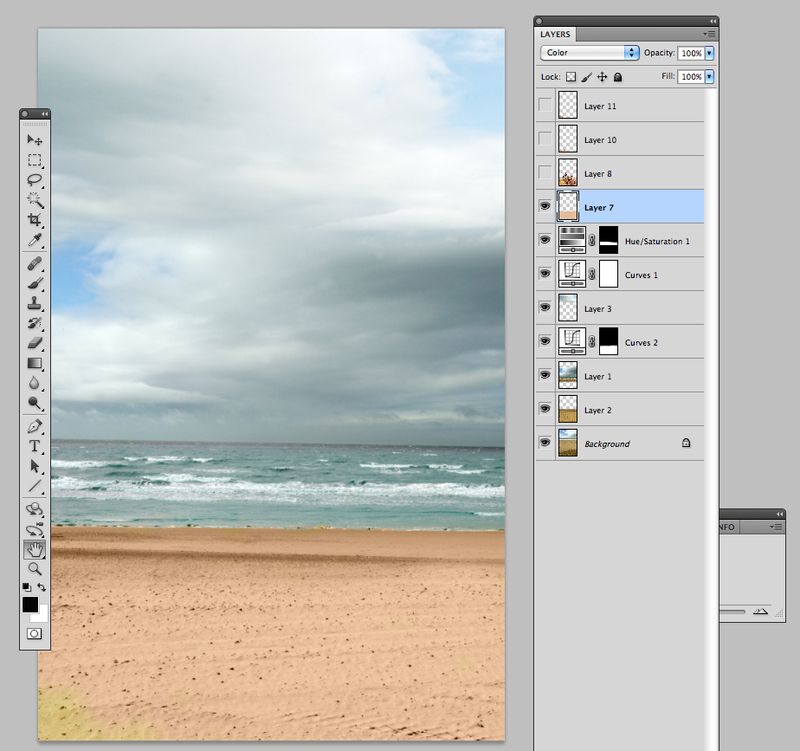 During yet another wet summer’d day I recall how I once used Photoshop to change the British weather. 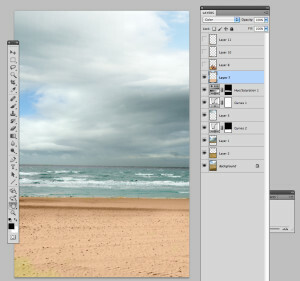 This is my Photoshop case study. 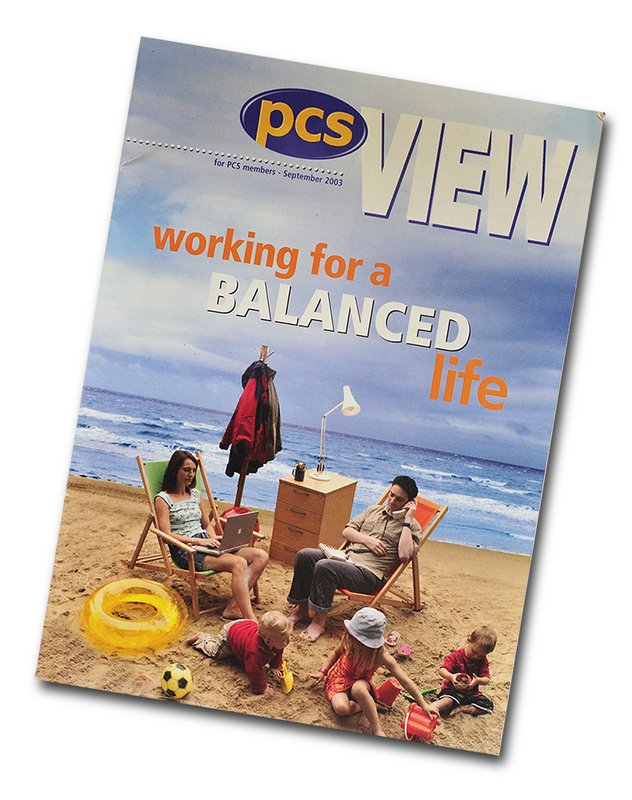 A few years ago I was asked to produce a cover image for a client to illustrate ‘work / life balance’, the brief was to show a typical family spending leisure time together but with their work commitments intruding. 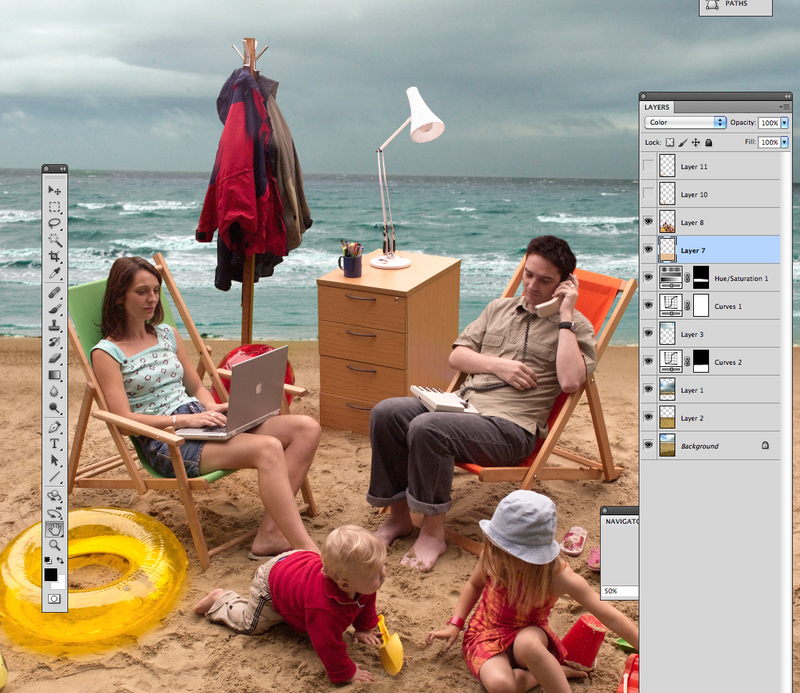 We decided to get a shot of the family on a beach but prop it with furniture and items from the office. At the time we were experiencing the typical wet British Summer, the nearest sandy beach to my home in London was Camber Sands, a two hour drive away. Rather than risk taking the models and props to the location and the shoot being rained off the decision was to montage a picture together. I had two tons of sand delivered to my garden in Battersea, this was then raked over tarpaulins covering the lawn to create a beach. The deckchairs and office items were placed on the sand and the models took their positions and the first pictures were taken. When the weather was good enough I went down to Camber Sands and took some shots of a clear beach. The images were then brought into Photoshop. I started with the beach scenes, moving the shoreline to the correct position so it wouldn’t crash into coverlines on the page, I then adjusting the hue of the sea and sand so that the colour matched the sand on my lawn. The picture of the people was then placed into the collage, the rhubarb and tomato plants behind the subjects were then erased to reveal the sand behind. I moved the football and ‘raked’ the sand digitally for aesthetic reasons. The picture was submitted for the annual TUC Press & PR Awards, the judges thought the image was a ‘straight’ photograph so it was entered in the photography section rather than in the illustration, a category my images have won in in previous years. You can see more examples of my photo-montages and illustrations in the gallery section of this website. I also offer 1:1 and small group training if you would like to develop your photographic and Photoshop skills.